As 2015 comes to a close, opponents of capital punishment in the United States have many reasons to view the year as a victory. Perhaps the best reason to celebrate the year comes in this simple figure: Those sentenced to death row fell to a historic low of 49 projected individuals, a whopping 33 percent drop from last year. 2014 had seen 73 death penalty sentences, the previous low. In a similar downward trend, 28 executions were carried out this year. Though that is still far too many, that number means 2015 saw a 24-year low and a sizable drop from 2014′s 35 executions. 2015′s low numbers are, in part, thanks to the exoneration of six wrongfully convicted death row inmates. Among them were Anthony Ray Hinton, who spent nearly 30 years in an Alabama prison before the U.S. Supreme Court ruled that he had been poorly represented in court and returned the case to the state. He wasn’t charged again, however, as the evidence used in his original conviction turned out to be bogus — the bullets used were simply not linked to him. The other exonerations tended to follow similar patterns — faulty evidence, procedural errors or police misconduct. On the state level, 2015 also marked a year of major victories. In May, the highly conservative state of Nebraska ended the practice after legislators forced the bill through, overriding the governor’s veto. Connecticut finally removed its remaining convicts from death row, with its Supreme Court ruling their executions would be unconstitutional. This comes three years after the state banned death penalty sentences. Earlier in the year, Pennsylvania Gov. Tom Wolf moved to put a moratorium on all executions in the state. Wolf says it will remain in place until a committee formed to address his various concerns with the practice files its report. 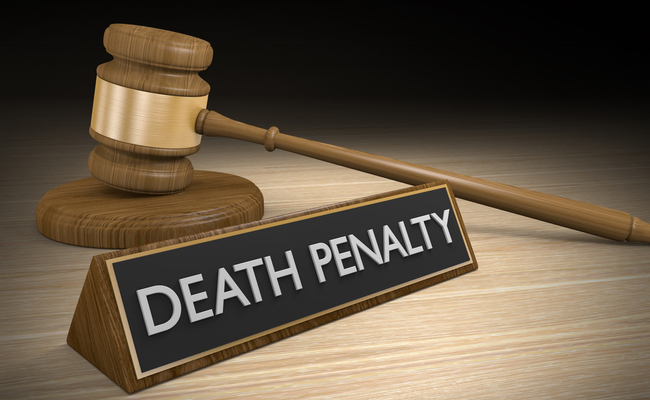 Delaware’s lawmakers has passed a new bill that would prevent sending future convicts to death row; however, those already sentenced to be executed won’t be reprieved. In 2016, California, home to the nation’s largest death row inmate population, will see its voters deciding whether or not to do away with its own capital punishment laws. With 2015 being a major success for anti-death penalty efforts, a question should be considered: Why is the death penalty on the way out in the first place? On the one hand, declines in death penalty sentences and actual executions performed can be linked to two other factors also trending downward: Public support of the death penalty and, in general, violent crime rates. Polls show that, though most Americans (56 percent) still support capital punishment, their numbers haven’t been this low since the mid-1970s. And as far as violent crime goes, it has almost been halved nationwide since its peak in 1991. It’s also been increasingly difficult for states who still execute to get access to the drugs used for lethal injections, as drug manufacturers in the U.S. and much of the world refuse to sell to states for such use. However, a handful of states have attempted to acquire alternative (but banned) drugs; in 2015 FDA agents seized illegally imported drugs destined for Nebraska, Arizona and Texas. Even still, trouble acquiring lethal injection drugs have forced states to postpone a number of executions — a partial victory. The death penalty is an ineffective, barbaric and wasteful practice. As the practice continues to wane, 2016 is shaping up to be another great year for anti-death penalty activists. But it may be bigger than anyone could hope. If the Supreme Court’s dissent opinion in Glossip v. Gross, which questioned the constitutionality of capital punishment, is any indication, the nation’s highest court may be looking to pick up a potentially game-changing case in the coming year. Pleasantly surprised at this news. Time to kill the Death Penalty nationwide tho.